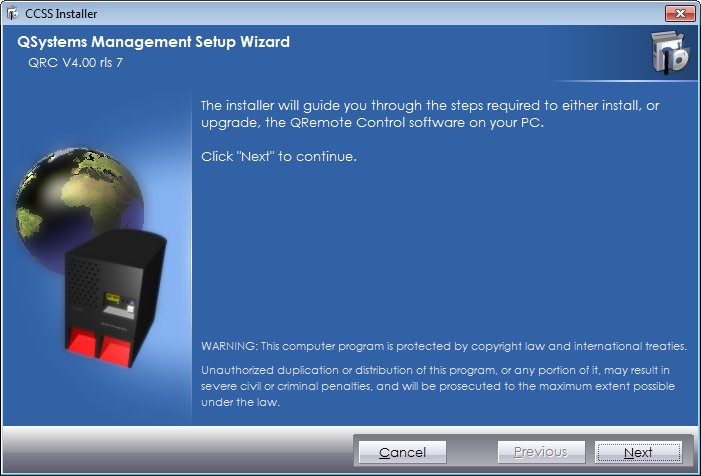 QMessage Monitor must be installed on both the IBM i and the PC before you install QRemote Control. 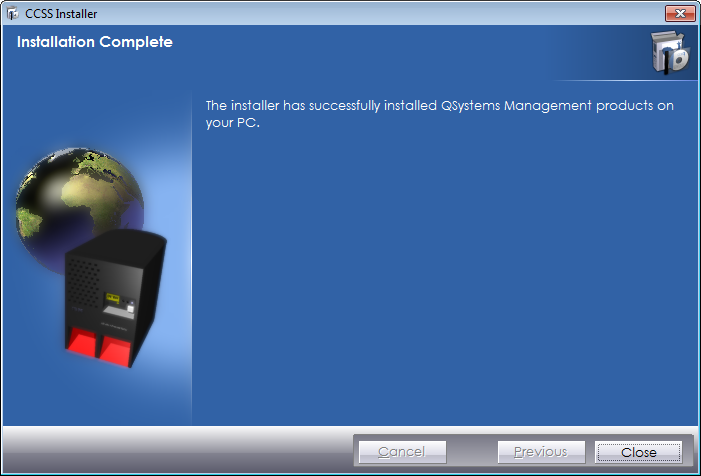 For instructions, see "Installing QMessage Monitor." 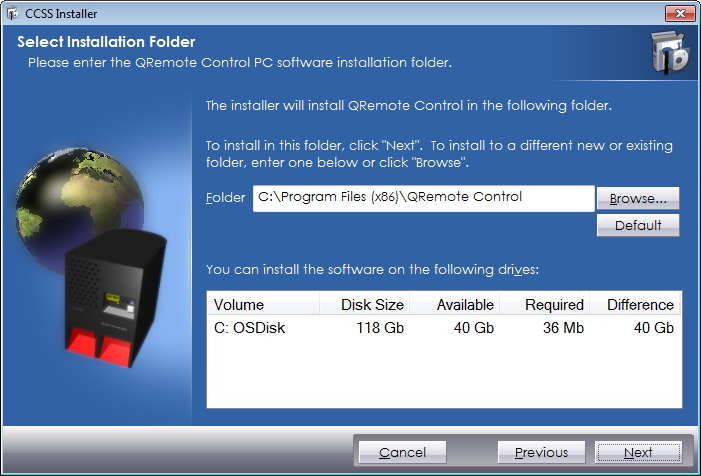 Note: The relevant IBM i objects for QRemote Control are installed with QMessage Monitor on the IBM i. A GSM wireless data terminal should have been purchased. SIM cards are available globally through your mobile telephone communications provider. All mobile phones that receive SMS and send SMS are compatible with QRemote Control. A SIM (Subscriber Identity Module) card is required if you wish to send and receive SMS messages. Enter the directory where the software will be installed. Click Browse to select a different directory. After you've selected a directory, click Next.